Standard positioners of the R-Range for a workpiece load from 50 kg up to 10 tons, bigger sizes on request. 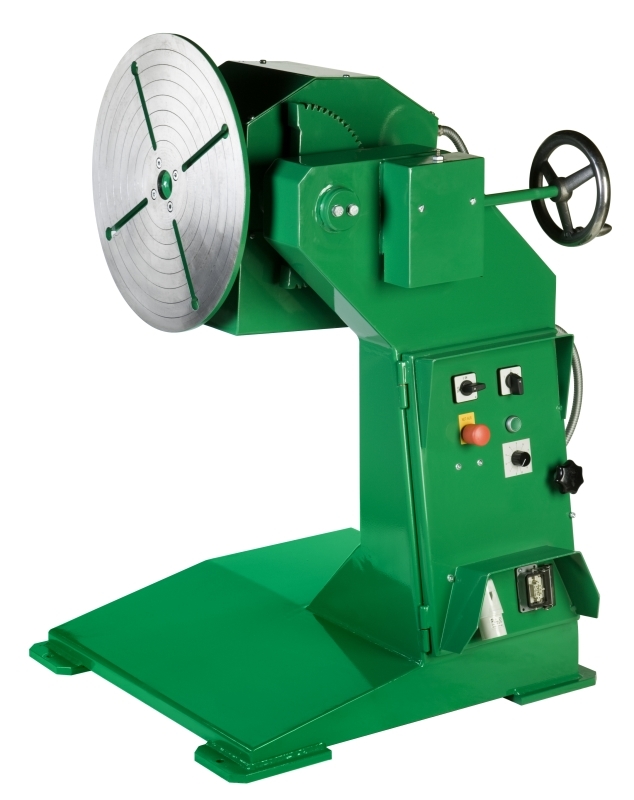 Positioners of the R-Range are used for welding, grinding and positioning purposes. 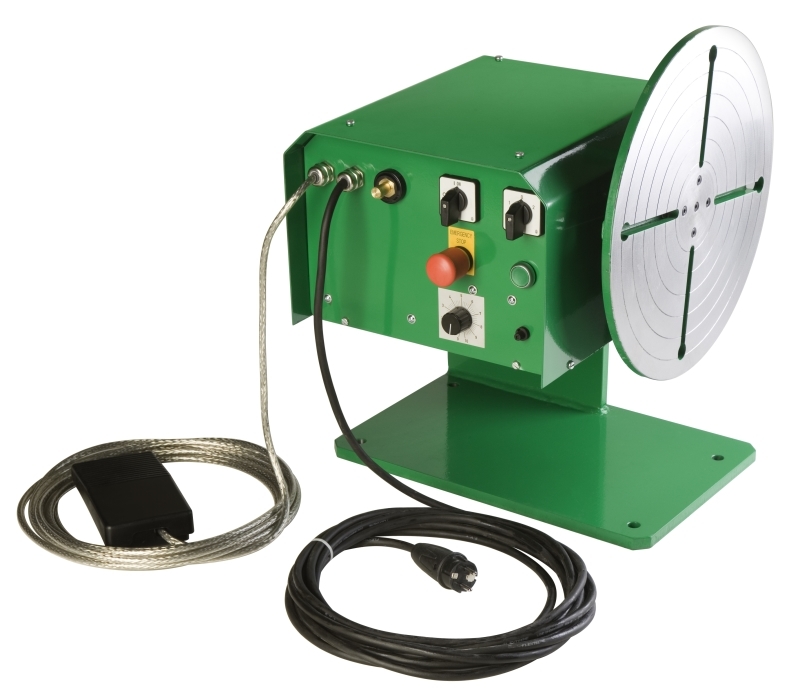 Apart from the turning drive of the faceplate, this range of positioners provides manual (R 50 – R 300) or electrical (R 500- R 10000) tilting of the faceplate. Infinitely variable work piece positioning ensures ideal ergonomic and economic working positions. The positioners are designed to rotate work pieces 360° by means of a geared AC-motor with hydraulic forward and backward tilt from horizontal. Rotation and tilting may be performed independently or simultaneously.